Stuart is Chief Executive of Glasgow Chamber of Commerce. The Chamber focuses on where it can be an effective channel to the city’s business community and is passionate about making Glasgow an excellent place to do business. Prior to his current role, Stuart was the Senior Commercial Director at Scottish Enterprise responsible for the development of the agency’s business plan and for advising on the structuring of its major projects. Previously he was the Chief Executive of Scottish Enterprise Glasgow reporting to the successive chairmanships of Willie Haughey (City Refrigeration Holdings) and Vic Emery (BVT Surface Fleet). Stuart has been an economic development professional since 1989 when he joined Govan Initiative, an area development agency responsible for promoting the recovery of that part of Glasgow. His initial career however was with Ernst and Young where he qualified as a chartered accountant and studied for an MBA at Strathclyde University. He took his first degree at Glasgow University. 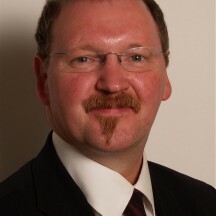 He has a number of business and personal interests around Glasgow including directorships of the Glasgow Science Centre, Anniesland College, the Wise Group, the Arches Theatre and the Cottier Project. In his spare time he jointly owns and directs a bar restaurant in the West End’s Ashton Lane. He can just about manage a game of tennis if provided with suitable energy drinks.